We are always excited to meet new patients. Our goal is to make you feel as comfortable as possible. Please arrive a few minutes early to allow time to complete the medical/dental health questionnaire, the patient information form, and the financial information form, if you have not previously done so. Also, bring your dental insurance card for us to copy. If your general dentist has given you a written referral or x-rays, please remember to bring them with you to your appointment. Your first visit will be a comprehensive examination with the necessary diagnostic x-rays, if not provided, as well as information provided by your dentist, so that your situation can be thoroughly evaluated and the ideal treatment plan can be determined. Please bring a list of your current medications and take all routine medications prior to your visit if applicable. Please do not take any over-the counter or prescription pain medication for at least 4 to 6 hours prior to your appointment to insure the most accurate diagnosis possible. Treatment is performed using local anesthesia and other options may be available, please speak with the doctor about any concerns you have regarding your care. If you have a medical condition that may be a concern prior to your visit such as diabetes, high blood pressure, rheumatic fever, artificial joints or heart valves, etc., please let us know before your appointment. If you require antibiotics for any existing conditions please contact our office prior to your visit. All patients under the age of 18 need to be accompanied by their parent or legal guardian. Your appointment begins with a comprehensive examination where Dr. Rodriguez will discuss your diagnosis and treatment options. Any questions you may have will be addressed at this time. Dr. Rodriguez will outline a solution that best fits your individual needs. Procedures we offer include Non-Surgical Root Canal Therapy, Endodontic Re-Treatment, Traumatic Injuries for adults and children, Treating Cracked Teeth, and Apical Surgery. 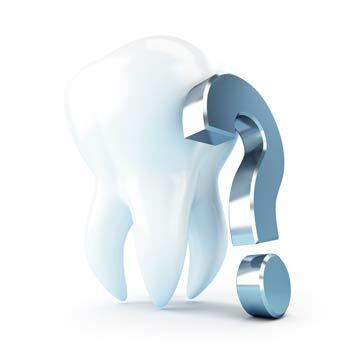 Endodontics has had much advancement allowing for a very smooth patient experience that is not very different from having a tooth filled or being treated for other common dental procedures. We will do everything we can to make your visit as pleasant as possible. Every patient is unique, and we are committed to providing you with high quality endodontic care based on your individual needs. Above all else, we want to make your visit to our office a pleasant experience.